Here we have gas-powered tankless water heaters. For most users, they are simply the best alternative. Believe or not, they offer plenty of advantages, they are great when it comes to quality and they are suitable for homeowners who want something more. The Best Gas Tankless Water Heater is a wise investment which will last for decades and it will serve you with hot water at any given moment. As such, these units are something worth considering. The Takagi T-KJr2-IN-NG Indoor Tankless Water Heater is the best natural gas water heater we tested. It is a great value for money and it offers everything a device of this type must provide. We liked the fact it is well-made and looks elegant. After all, it is designed for indoor use only, so it must look great. Other than that, it offers 6.6GPM of water flow, which is above average and it has an energy factor of 0.81-0.83, which is decent as well. This is an affordable water heater that can provide up to 140.000BTU. In the package, you get everything which is needed for the installation and even a great user manual which will be more than just helpful if you are planning to install it all by yourself. Of course, keep in mind that it requires stainless steel (category III) ventilation. This isn’t a huge issue, but it doesn’t require specific modifications and it may be annoying. In addition, it also makes the overall price of the installation a bit higher. So, what we have to add regarding the unit in question? Basically nothing. It is a great value for money, it is made by one of the best manufacturers in the world and it has it all you are going to need. The biggest advantage is actually value for money and this is a high-quality unit which will serve you for many years. Warranty is 10 years on the heating element and 5 years on other parts. And now we have a heavy-duty gas tankless water heater based on the latest technology. It offers 6.4 gallons per minute, it is made from stainless steel and other materials which are capable of withstanding tough use. One fact which must be mentioned is low NOx emission, which becomes standard for the latest models. In recent years, we were able to see that Rheem has been making some of the most desirable water heaters on the market. The unit we have here is definitely one of them. It is capable of meeting the toughest demands and it is going to last for a decade or more. The new burner technology is the best among all other water heaters available on the market. It uses specific elements and it operates slightly differently than other versions. As such, it uses less gas and offers a constant flow of hot water. In the package, you get a thermostat wire and additional components to install the unit. Of course, it weighs 54 pounds, so the installation isn’t as easy as you may believe. On the other hand, this is a high-end model, so a professional installation may be needed. At the end, we can only say that the model we tested is a great choice and a wise investment. It has been one of the most desirable units and it performed well under stress. As such, we were completely satisfied with the overall performances, so we can say that you will be as well. The price may look higher, but this is after all one of the best models on the market, which is quite popular at the moment, therefore you will be making a smart investment. The Tankless Gas Water Heater Reviews of this model are more than just positive by the owners. It is a masterpiece which comes with advanced features, low profile design, and many advantages. As a matter of fact, it offers 199.000BTU, which is probably the highest rating among water heaters that uses natural gas. Yes, it also offers low NOx emissions, it requires concentric or PVC venting and it is designed for commercial and residential applications. However, the warranty isn’t the same. In a case of residential use, the warranty is 12 years on heat exchanger, 5 years on parts and 1 year on labor. In a case you use it for commercial application, the warranty is 5 years on the heat exchanger, 5 years on parts and 1 year on labor. We liked this model due to two reasons. The first one is the water flow, which is 9.8 gallons per minute. The second one is the 96% efficiency, which is one of the highest values we have encountered in the last few months. The unit also requires ¾ inch connections and professional installation. Overall, the unit is made to be one of the best gas water heaters on the market. Keep in mind that the unit is expensive due to the fact it is a commercial and a heavy-duty model. It has a massive water flow, it is extremely durable and comes with a superb warranty. You will definitely like it. From a high-end and expensive model, we move to a completely different one. This one here is made for smaller, lighter applications, but it is also a great unit in its own class. The BTU is 74.500 which is decent if we know that the max water flow is 4.8GPM. Other than that this model comes with a simpler installation than usual and advanced temperature control with a display. It is simple, practical, small which allow for it to be installed literally anywhere. It is also made by one of the best brands in the business so the overall quality shouldn’t be even considered. We must add that the warranty is 2 years, but this brand comes with outstanding customer support which is available 24/7. As a matter of fact, it is one of the best customer supports we have encountered in a long time. They are pleasant and you can contact them for any issue you have in mind. In a nutshell, this model is great for light purposes. It is well-made, all components are durable and as a value for money, it is simply the best. On our tests, the unit performed well and we didn’t have any complications. The last but not least is this model we have right here. First and foremost, it is an outdoor unit, so it comes with a few more advantages. If you recall, we have mentioned that showerhead compatibility should be taken into account as one of the factors. This model has it. The showerhead is well-made and very convenient. The installation process is simple and relatively more appealing than some other units have to offer. The maximum water flow is 1.32 gallons per minute. The maximum temperature rise, in this case, is 114.8℉, which is sufficient for most users. Then we have safety features which include flame detection and prevention, oxygen depletion and antifreeze technology. Overall, this model is capable of withstanding all potential issues and even low temperatures. When it comes to some drawbacks regarding safety, there are no any! We can add that the safety features are something that makes this model so special and so desirable. Of course, quality and other features are definitely an advantage. Other things you will have to know is the incredibly affordable price. It is one of the most affordable units out there, but one of the features have been compromised or left over. The water heater has it all and offers a decent set of features. Warranty and customer support are decent as well. Keep in mind that you will need two D batteries in order to use this unit which isn’t included in the package. Other than that, you get everything else needed for the installation. When we think of the tankless water heaters, we usually know that there are two options. The first is electric tankless water heaters and the second type is unit which uses gas to heat up water. There are plenty of differences, but also the similarities between these two types. Let’s begin with a discount you get. Almost all gas tankless water heaters come with a $300 federal discount, due to the fact they use as little gas as possible to heat up water. Yes, their price may be higher than usual, but after all, you get an impressive discount. Gas-powered units are treated as the best and the most sophisticated water heaters ever developed. 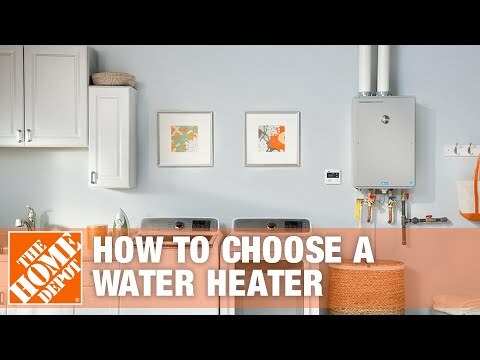 Also, they are commonly chosen by homeowners who want to reduce the gas bill, always get hot water and don’t want to worry about a water heater which will fail after a few years. When it comes to the reduction of a gas bill, you can expect up to 60%, depending on the model you have chosen, its specifications and several other factors. This is a major saving which will have a huge effect on your budget and literally every single water heater will repay itself in a few months, despite the fact they look costly at the first sight. You will have to know that the installation of these units is a bit more complicated than usual. In the worst case scenario, you will have to add ventilation and additional gas pipe to use the water heater. Of course, this has to be done only once and in a case you want to replace the unit, you won’t have to perform the same processes again. It is a one-time investment. An additional reason why gas tankless water heaters are so popular and so desirable is in the fact they are capable of providing hot water in areas where the temperature is low. This is a massive advantage if we compare them with the electric models or any other type. They can even be used in Alaska and they will work perfectly without any issue. This is one of the main reasons why these units are desirable and why so many homeowners choose them instead of conventional models. Now the installation. Here we can see another benefit. Gas tankless water heaters can be installed almost anywhere. Some of them can be installed indoors, while others are designed for outdoor installations. Regardless of the type, you will be able to install the unit literally anywhere you want and you will get plenty of free space. Try to remember that all models require as little of space as possible in order to be installed despite the small dimensions, they can still provide plenty of hot water at all times. We must add that they generally provide a higher water flow rating than other types of water heaters. In general, they offer 6-7GPM, but there are more powerful models which can provide even higher water flow. Due to the extreme practicality, gas water heaters can be installed in remote locations. They don’t require electricity or anything else to operate, so they can be used in cabins, in distant areas and etc. Other water heaters don’t have this advantage. The only alternative is to use a solar panel to activate electric water heater, which is a time-consuming process and you won’t get the amount of hot water you actually need. We have mentioned that gas tankless water heaters are sophisticated, but still, some people believe that they are obsolete! Most of them come with a great set of additional features, such is a system which will detect leaks and turn off the water heater in order to prevent further damages. Others come with a temperature lock feature, so the temperature cannot be messed up by a kid or etc. The build quality of gas tankless water heaters is superb in general. The Best Gas Tankless Water Heater will be made from heavy-duty materials and it is going to last for a long period of time. Especially units designed for outdoor uses come with extra-strong materials such as stainless steel and similar. This is one of the most durable materials known to man, so you can imagine how durable the water heater will be. Now the warranties. Almost all gas tankless water heaters come with extra-long warranties. They are built to last as long as possible, so long warranties are obvious. In addition, it isn’t rare to get a warranty between 10 and 15 years. In a nutshell, all gas tankless water heaters are well-made, they are sophisticated and they come with all the features you are going to need. Of course, there are several factors which must be taken into account. In order to assist you get the best or the most suitable gas tankless water heater for your home, we must share some factors which must be taken into account. They can make a huge difference and they will help you get the amount of hot water you need. Pay close attention to all the factors mentioned below, simply because they have a huge impact on the overall performance. Water flow rate is presented in GPM and it determines how much hot water a gas tankless water heater can provide per a minute. An average user will need 3.6 gallons per minute. But, here you must take into account your requirements. If you live with a family, you will need a higher water flow. If you are planning to use the gas tankless water heater in a cabin where you live alone, you will need a lower GPM rate. The simplest decision is to know that the higher is better. Installation requirements are essential to take into account when it comes to gas tankless water heaters. Some models do require severe ventilation and additional piping. Others require much smaller modifications and others are extremely simple to install. Basically, you will need to add installation cost to the overall price of a water heater you have in mind to purchase. Yes, it is possible to install it all by yourself, but it is a complicated task and isn’t recommended to all users! This factor must be mentioned separately. Where must a tankless water heater be installed? There are two options. Indoor and outdoor gas tankless water heaters. Those which are designed for indoor use cannot be installed outdoors and vice versa. If you make a mistake here, you will have to make severe adjustments to the piping or to replace the unit. Indoor models are more preferable for locations where the temperature is low at some part of a year. Outdoor versions don’t occupy space inside a home, so they are ideal for small homes. This system eliminates the risk of messing up with the temperature. If you have small children, it may be the most important factor to consider. We must add that to all units come with it, so it may be difficult to find one. Of course, the system is easy to use and it makes the water tank safer to use as well. We liked this feature especially and we would recommend it to all parents. In simple words, the temperature rise is how much a water heater can heat up water. In areas where the climate is warmer, the unwritten rule is that the temperature rise must be 50 degrees Fahrenheit. But, in areas where the climate is much cooler, this rating must be higher, up to 100 degrees Fahrenheit. As such, your location, or better said the location of the water heater installation will determine this factor. Some of you may believe that the higher the temperature rise, the better, but it actually is irrelevant in areas where the climate is warm. Warranty must be taken into consideration. After all, you are paying a high amount of money for your new gas tankless water heater, so you will want the longest warranty which will guarantee you that the unit will last long. It isn’t strange to find a model with 10 or even longer warranty, but some units still offer a few years of it. It is up to you to decide what you want, but keep in mind that if you can get an extra warranty, always choose that option. BTU simply determines the overall power of a gas tankless water heater. The higher the number, the better. In general, you can expect around 140.000 BTU, which is a decent score. On the other hand, some models can provide a much higher rating. We will say that 120.000BTU are the middle rating which is sufficient for most users. It is up to you to choose do you need a higher or a lower rating. If your new gas tankless water heater will be installed indoors, size is a crucial factor. Yes, most of them have compact sizes, but there are differences as well. It is mandatory to remember that smaller models are easier to install, but they usually offer a lower flow rate. Bigger ones offer a higher flow rate, but they are heavier and more complicated to install. So, make a right choice. Energy factor determines how efficient a gas tankless water heater is. The values will range between 0.8 and 0.9. The higher the number, more efficient the water heater is. In general, there are minor differences here, but we liked those units with a high energy factor. They usually offer all-new technology and they are more appealing to use than other models. Surprisingly, when it comes to the price, it isn’t much higher than you would expect, so they are a much better investment. There are several safety features which must be mentioned here. The one which is mandatory is flame protection. In a case a malfunction occurs, a water heater will detect it and prevent additional issues. In addition, there are oxygen depletion and 20-minute time all combined as safety features. You definitely want these features in your new water heater. Yes, they are almost as standard features at the moment, but just keep in mind that there are some cheap models which don’t have them. Here is another feature which can make a difference. Antifreeze system is implemented into most water heaters in order to prevent water freezing when the temperatures are low. Usually, outdoor models have this system, but it is possible to find indoor models with it as well. Let’s just add that if you live in an area where the temperatures are low, you must have this system in your gas tankless water heater. Some models require plenty of pressure or better said a high water pressure to operate. Others require low pressure. At the moment, the lowest pressure you can use with a water heater is 2.5 PSI. Only one model on the market has this advantage. All others require higher pressures. This factor refers to outdoor water heaters specifically. It means that you can mount a showerhead directly on the water heater and use it to take a shower. It definitely isn’t the main factor to consider, but for some of you, it may be more than just desirable. Once again, it is a bit rare feature, so pay close attention. The Best Gas Tankless Water Heater from the list is the one which has it all. We tested only the best and the most appealing models available right now and we are more than just happy to be able to recommend you these 5 models. Of course, only one is sufficient to meet all your demands. In our case it was the Rinnai RUC98iN Ultra Series Natural Gas Tankless Water Heater which fits our needs the most. We tested premium, high-end and affordable models, so it won’t be difficult for you to get the best unit. In addition, we also revealed the factors which must be taken into account if you are looking for something else. As such, you are completely ready to start your search for the best gas tankless water heater. Traditional Water Heaters Vs. Tankless Water Heaters Which To Choose?